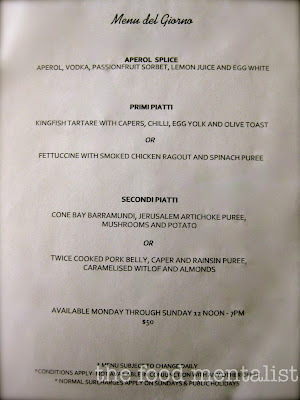 Otto Ristorante recently launched their new Menu del Giorno created by Head Chef Richard Ptacnik. Italian for 'Menu of the Day', this new addition at Otto provides diners with a tempting cocktail and an entree and main all for a very reasonable $50. I arrive at Otto and am immediately impressed. 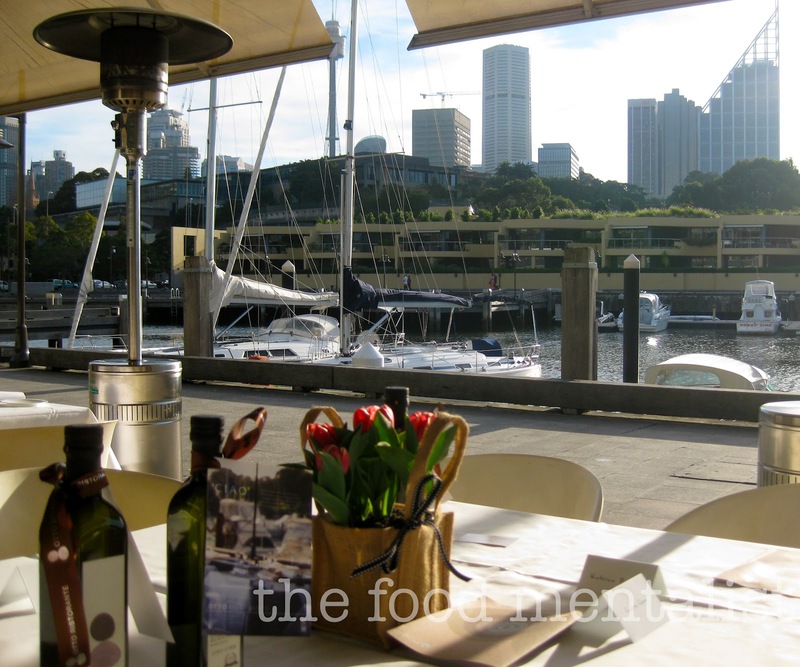 It has a stylish yet relaxed atmosphere and the waterside setting doesn't hurt either. I sit down and just as I begin to place my handbag on the floor next to me a waitress greets me with a warm smile and thoughtfully places a leather 'purpose-made' placemat down first. Impeccable service indeed! We begin with an Aperol Splice - a tempting combination of Aperol, vodka, passionfruit sorbet, lemon juice and egg white. 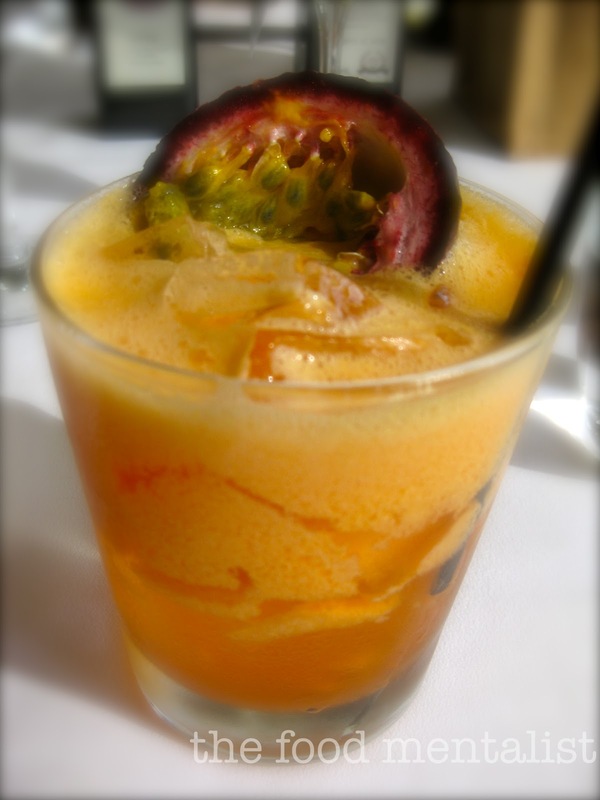 It is light, refreshing and fruity - the perfect aperitif. 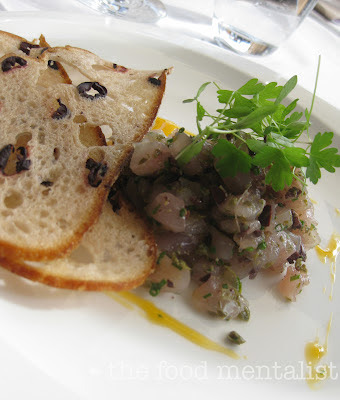 The first option for entree is the Kingfish tartare with capers, chilli, egg yolk and olive toast - the majority of my dining companions choose this dish and being a pasta fanatic I decide on the other option. However, when this dish arrives, I am somewhat envious and judging by the comments around the table it's fantastic. My entree of fettuccine with smoked chicken ragout and spinach puree arrives and I am delighted by the generous portion. You see... I am utterly obsessed with pasta! It smells divine and reminds me of our Italian neighbour whose delicious cooking smells often permeate the front of house of an afternoon. 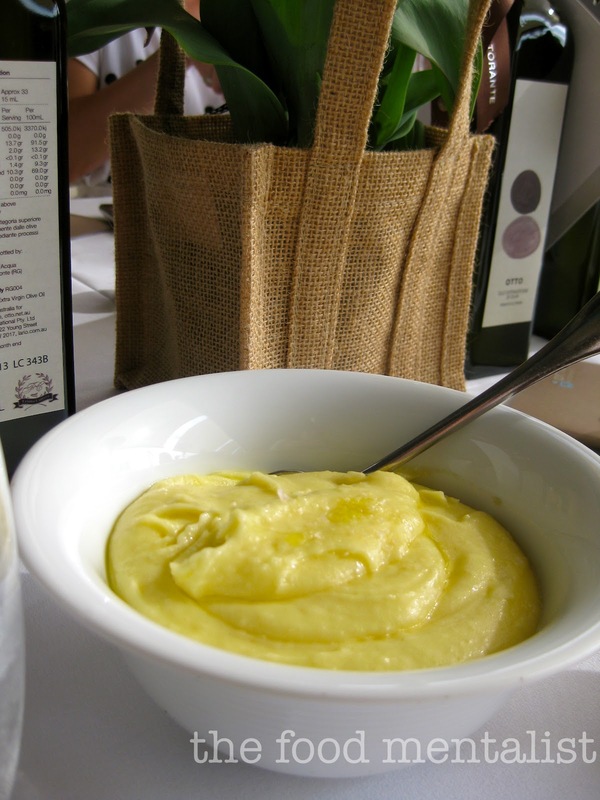 The spinach puree sits within the mound of pasta and we are advised by our waitress to stir it through before we begin. Piping hot, the pasta is silky and perfectly al dente. The smokiness of the chicken ragout is beautifully balanced by a hint of sweetness from the spinach puree. 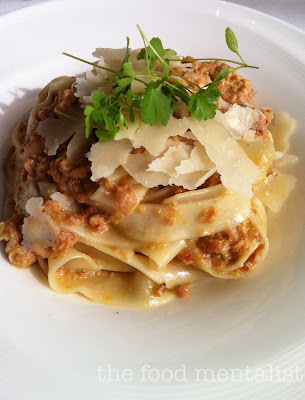 We are informed that the pasta is made daily on site using a pasta machine which was recently imported from Italy. It allows chefs to make a whole range of different varieties including pasta infused with flavours like porcini and chestnut. Yum!!! Our delicious feast continues with main course. I nearly always choose the pork belly option when I dine out, however on this occasion I decide to defy tradition and welcome the Cone Bay Barramundi instead. 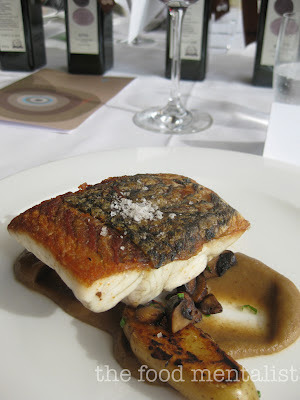 It's skin is crispy and the fish itself is succulent, well seasoned and cooked to perfection.It sits on a bed of Jerusalem artichoke puree which provides a nice sweetness to the dish and the kipfler potatoes and mushrooms are topped with a scattering of fresh herbs and are perfect for mopping up the scrumptious puree. 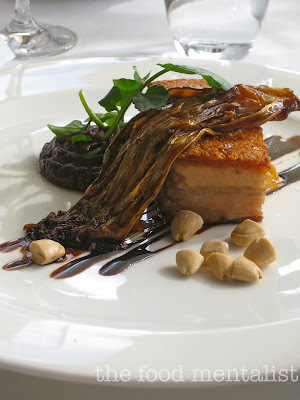 The twice cooked pork belly, caper and raisin puree, caramelised witlof and almonds is also popular with my fellow diners and it looks impressive. Succulent layers of pork belly are topped with an audible layer of crackling and caramelised witlof. I am told that the caper & raisin puree completes the dish by balancing the richness of the pork and the almonds provide an additional textural element. After our mains we are greeted by head chef Richard Ptacnik who tells us he has prepared something special for us to try. Whilst it doesn't feature on the Menu del Giorno, the Chocolate Budino will soon feature on Otto's regular menu during winter. 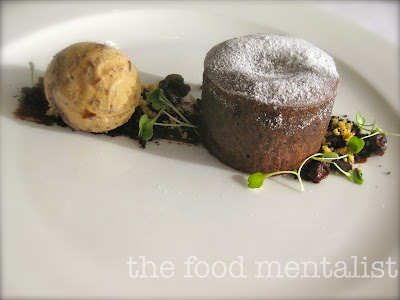 A baked chocolate fondant style dessert with a decadent molten chocolate ganache centre. It is accompanied by a luscious rum and raisin ice cream which helps to balance out the sweetness of budino - this is my ultimate dessert. Wow! Otto Ristorante has long featured on my list of restaurants to visit and after dining here today, I can honestly tell you - it must now feature on yours! 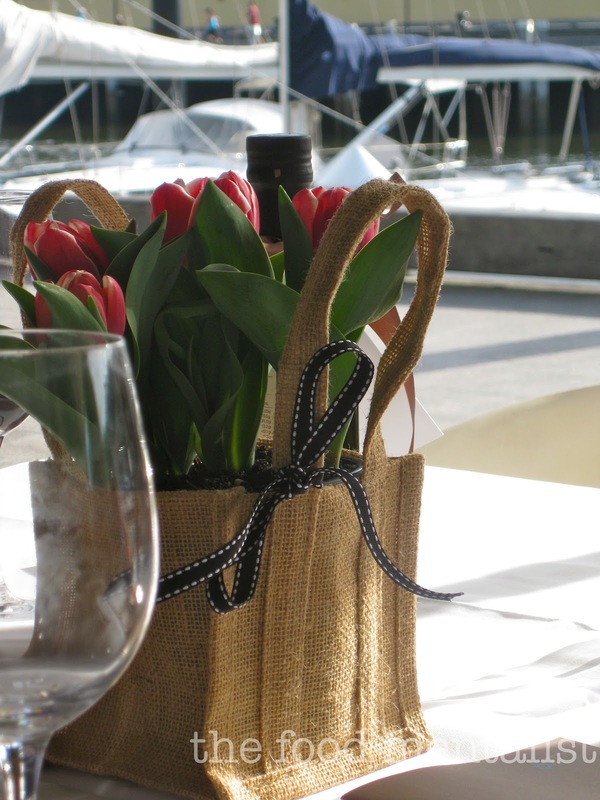 Delicious Italian flavours, fresh premium ingredients, impeccable service, and a relaxed stylish atmosphere make Otto's the place to be. 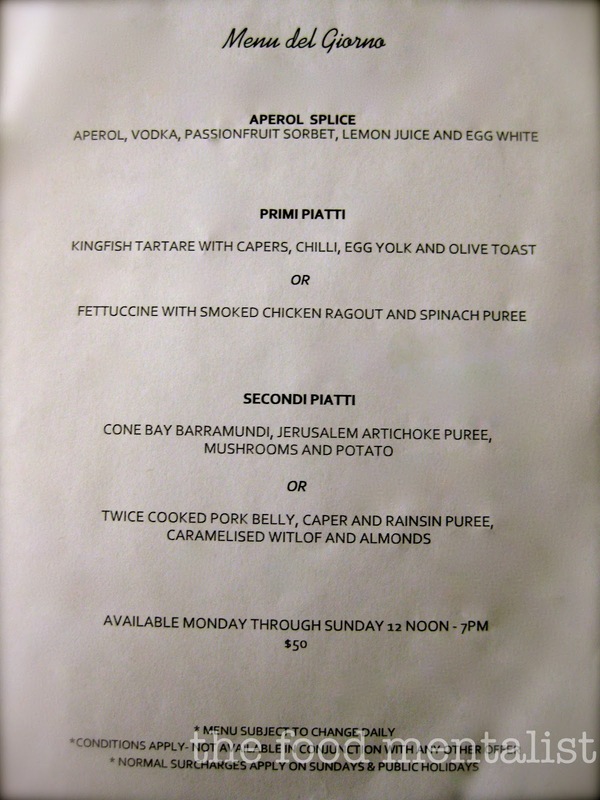 The new Menu del Giorno is subject to change daily and is available Monday through to Sunday between 12-7pm. The Food Mentalist dined as a guest of Otto Ristorante. Such a gorgeous area... love the food too..
That pork belly looks incredible!! I've only eaten at Otto once and I was a big fan. How great that you got to enjoy a meal there as a guest! It's so far away from me, but based on the glowing recommendation, I'm going to have to get my a into g and get over there! 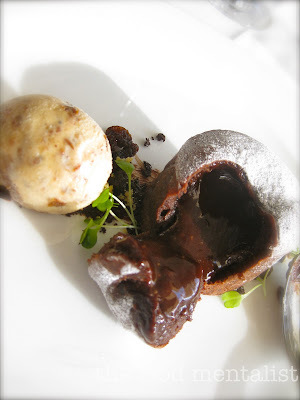 whoah - look at that chocolate oozing out of the budino! it looks so good!